Thanks to all the kids who came out to be in our video! Remix – verses by Kosha Dillz and VerBS! Guys, I’m so grateful to be able to do what I do. This was my first Beat Scout I did without a brand just for myself and the joy of what I do. I had a BLAST making it and working with Kosh and Verbs to make somethign new. Go check out those guys because they are the real deal! Follow Fresh Big Mouf everywhere! From the ATX to the ATL, Harvey H (Austin) and Mista MoMo (Atlanta) are two of the south’s hottest rising underground artists. Produced By Skate Bravo (Charleston,South Carolina) and engineered by Chris Locke (Austin), you will see cameo’s from DJ Dub Floyd and Atlanta artist Phene representing High Off Life LLC, 2 Shell Entertainment artist Captain Nova (Atlanta) and Producer/Engineer 2HotDaProducer (Atlanta). HarvHustle brings you his first single off of his newest project THE STRAIGHT BIZ EP. 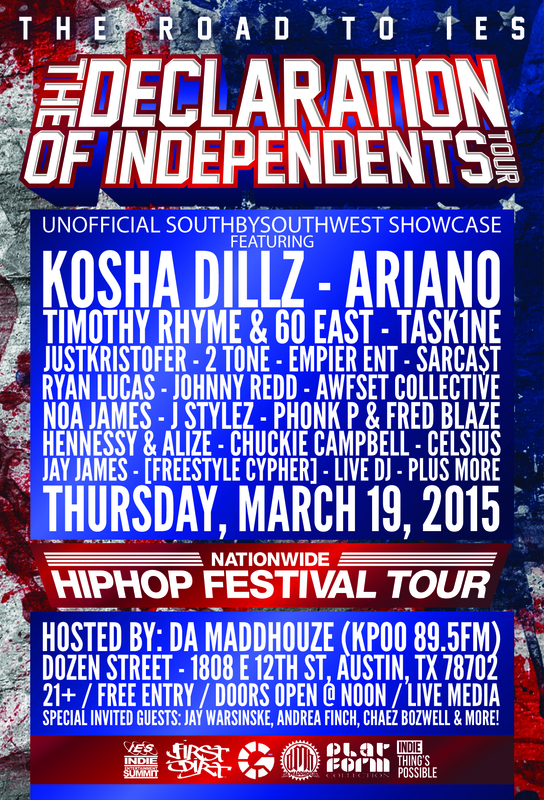 Kosha Dillz x ARIANO x First Dirt x Task1 and many more!